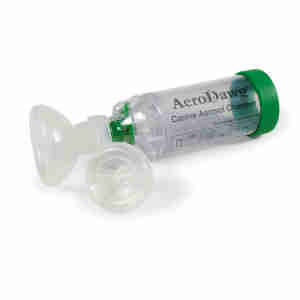 The AeroDawg Chamber allows you to use an inhaler to help your dog with their asthma. Designed specifically with canines in mind, this chamber includes two mask fittings to ensure that your dog gets the most comfortable and efficient mask. The fit enhances the delivery of the inhaler, and the patented Flow Vu valve flutters when your dog is inhaling, making it easy to identify if your furry-friend is taking the correct dosage. large size (dogs weighing more than 9kg) includes 1 x medium and 1 x large mask. Dogs can often develop respiratory diseases just like us. Chronic Bronchitis is one of the most common. 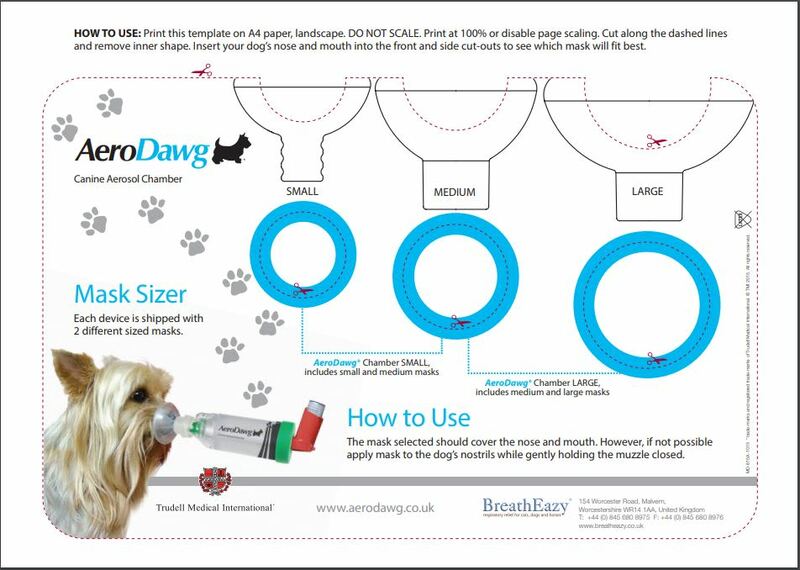 If you dog has been diagnosed with such and given an inhaler, the AeroDawg chamber will help to administer this medicine effectively. Please note that an inhaler is not included.